Hot Rokinon Deals – 8mm f/3.5 w/ Removeable Hood for $175, 85mm f/1.4 for $232 and More at Amazon ! ">Hot Rokinon Deals – 8mm f/3.5 w/ Removeable Hood for $175, 85mm f/1.4 for $232 and More at Amazon ! Rokinon USA authorized dealer Amazon US currently has several great deals on Rokinon lenses for Canon EF mount, after 20% off coupon, most of these lenses are lowest price online ever. 3-Hour Deal – Bower 8mm f/3.5 Fisheye Lens for $149 at B&H Photo Video ! ">3-Hour Deal – Bower 8mm f/3.5 Fisheye Lens for $149 at B&H Photo Video ! B&H Photo Video today has a 3-hour flash deal on Bower 8mm f/3.5 Fisheye lens. The price for this deal is $149.95, lowest price online ever. Bower is another brand name of Samyang, just as Rokinon. New Lowest Price – Rokinon 8mm f/3.5 w/ Removable Hood for $169 at Amazon ! ">New Lowest Price – Rokinon 8mm f/3.5 w/ Removable Hood for $169 at Amazon ! Rokinon USA authorized dealer Amazon US has a super hot deal on Rokinon 8mm F3.5 HD Fisheye Lens for Canon EF mount. This is currently lowest price online ever. This is the newer “HD” version of this popular lens, which features a detachable lens hood for full-frame shooters to get the widest field of view. Hot Deal Back – Rokinon 8mm f/3.5 HD Fisheye Lens w/ Removable Hood for $199 at B&H ! ">Hot Deal Back – Rokinon 8mm f/3.5 HD Fisheye Lens w/ Removable Hood for $199 at B&H ! Rokinon USA authorized dealer B&H Photo Video has a today only deal on Rokinon 8mm F3.5 HD Fisheye Lens for Canon EF mount. This is the newer “HD” version of this popular lens, which features a detachable lens hood for full-frame shooters to get the widest field of view. Currently best price for authorized dealer. Hot Deal – Rokinon 8mm f/3.5 HD Fisheye Lens with Removable Hood for $176 ! ">Hot Deal – Rokinon 8mm f/3.5 HD Fisheye Lens with Removable Hood for $176 ! Hot Deal Back – Rokinon 8mm f/3.5 HD Fisheye Lens with Removable Hood for $179 ! 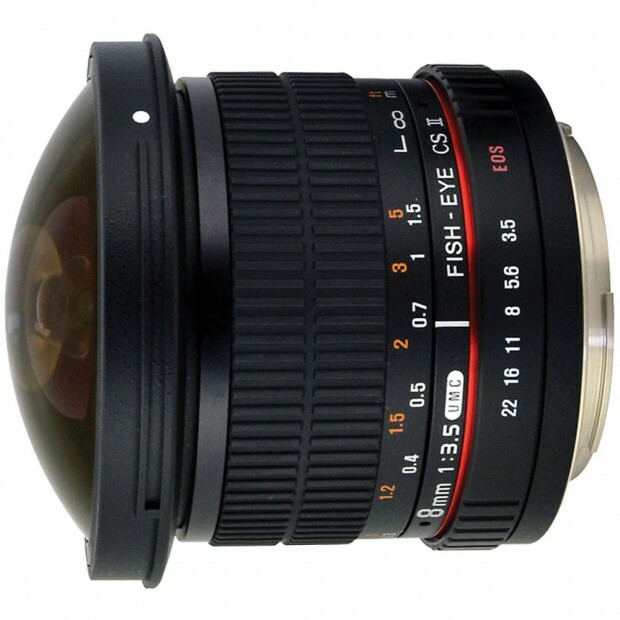 ">Hot Deal Back – Rokinon 8mm f/3.5 HD Fisheye Lens with Removable Hood for $179 ! The Rokinon Fisheye lens Deal is Back. Adorama has a hot deal on Rokinon 8mm F3.5 HD Fisheye Lens. This is the newer “HD” version of this popular lens, which features a detachable lens hoodfor full-frame shooters to get the widest field of view. The Rokinon Fisheye lens Deal is Back. Adorama via eBay has a limited supply deal on Rokinon 8mm F3.5 HD Fisheye Lens. This is the newer “HD” version of this popular lens, which features a detachable lens hoodfor full-frame shooters to get the widest field of view.